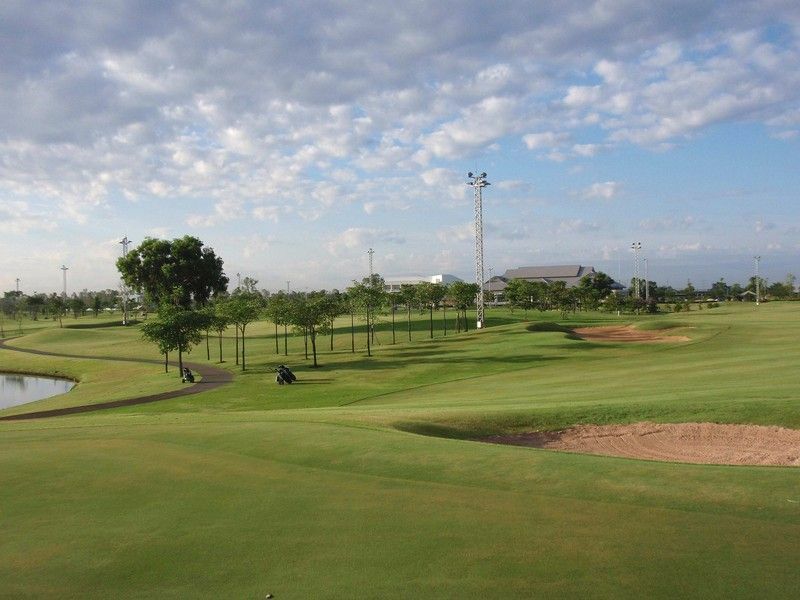 The fairways provide excellent lies and are generous with young trees lining most. Now they do not present much of a problem, but naturally they will in future years, enhancing the challenge of Rachakram Golf Club. 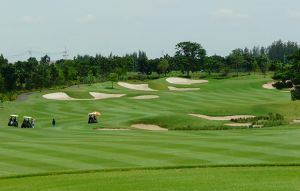 Designed like a links course there are the undulations and openness in front of the greens enabling shots to run up to the greens on a number of the holes. There is plenty of water including some blind water hazards. 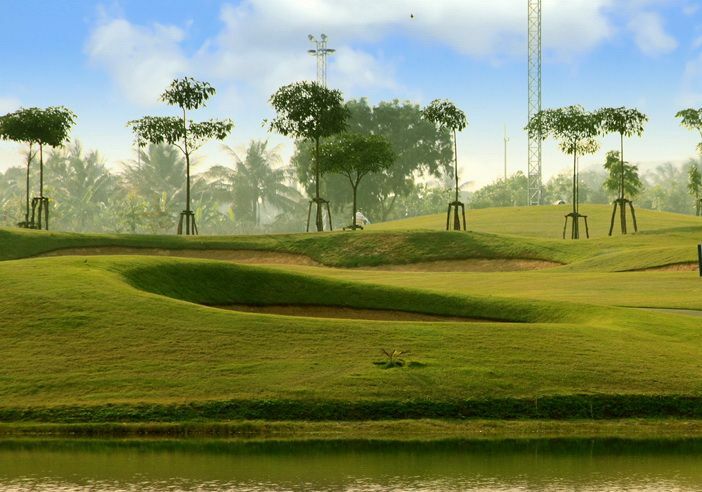 The most scenic holes due to their outstanding design are number 10, a dogleg par 4 with a carry over water to a huge green with a false front and hole 12, a long par 5 into the prevailing wind; don’t even think of reaching in two shots. 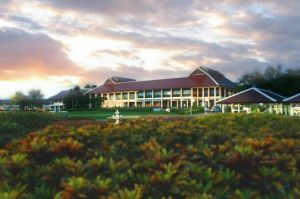 The Ratchakram clubhouse is new, very modern and clean with excellent locker room facilities. This is a must play course, especially before word gets out and it becomes more popular. 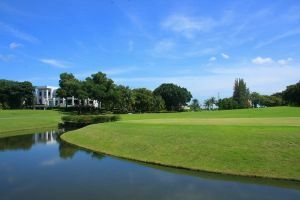 While the drive from Bangkok is slightly longer than other Bangkok golf courses, playing speed, even on a weekend, is less than 4 hours, making the overall elapsed time quite reasonable. 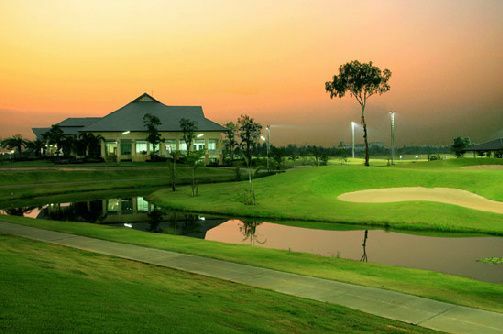 Rachakram Golf Club has different Services to offer. Choose a date and number or players to see the rates.